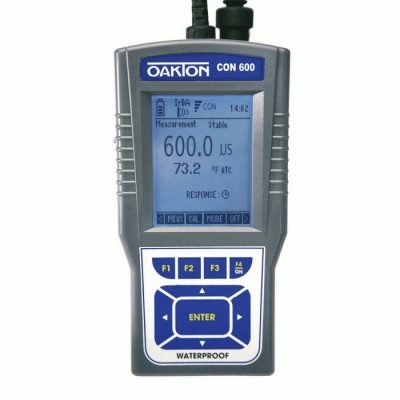 Oakton pH 620 Meter - Osprey Scientific Inc. 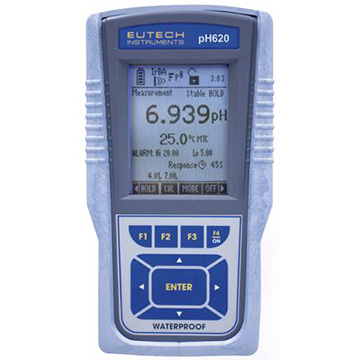 These waterproof handheld meters feature a –2.00 to 20.00 pH range with 0.001 pH resolution. 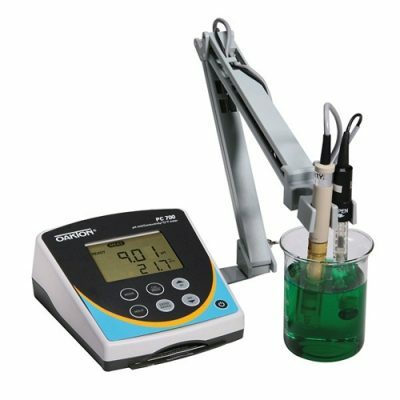 Combined with accuracies up to ±0.002 pH, these meters provide a new benchmark in our pH meter line. 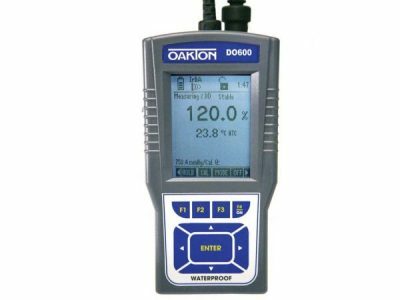 Store up to 500 data sets in the meter‘s memory. Time-and-date stamping meets Good Laboratory Practice (GLP) standards. 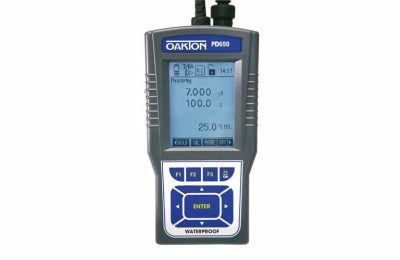 The pH 620 meters offer the latest in pH calibration capabilities including up to six calibration points, a user-settable “calibration due” alarm, and up to 15 buffer options with auto-buffer recognition of USA, NIST, DIN, and PWB standards.